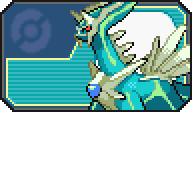 This shiny Dialga was first distributed at Gamestop stores in the US between August 19 to September 19, 2013. Germany, Italy, Spain, Portugal, Belgium, the Netherlands, Switzerland, Austria, Norway, Denmark, and Russia. It was also distributed at a Pokémon event at Amaroussion Flocafé in Athens, Greece, on October 05 and again at Public stores in Greece from December 09 to December 22. This Victini was distributed to promote the pair of 14th Pokémon movies along with several other Victini merchandise and game promotions. The gender of the OT is determined by the gender of the player. The first distribution was advertised to US players, while the second distribution was advertised to UK players. Summer Keldeo This Keldeo was distributed at Gamestop stores in the US and EB Games stores in Canada during the above dates to promote pre-orders of Black 2 and White 2. It was also distributed at GAME and Gamestation stores in the UK from September 1 to October 11 and at EB Games and Target Stores in Australia from September 15 to October 11. If brought to the Moor of Icirrus along with Cobalion, Terrakion, and Virizion, this Keldeo can learn the move Secret Sword. In Black 2 and White 2, it can learn Secret Sword at Pledge Grove and will be in its Resolute Form while it knows it. 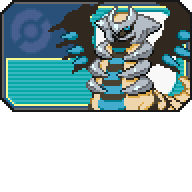 This shiny Giratina was distributed at Gamestop stores in the US between September 30 to October 20, 2013. It was also distributed from September 27 to October 11 at retailers in Canada, Latin America, Australia, New Zealand, the UK, France, Germany, Italy, Spain, Portugal, Belgium, the Netherlands, Switzerland, Austria, Norway, Denmark, and Russia. It was also distributed at a Pokémon event at Amaroussion Flocafé in Athens, Greece, on October 5 and again at Public stores in Greece from January 5 to January 20, 2014. This shiny Palkia was first distributed at Gamestop stores in the US between September 9 and September 29, 2013. It was also distributed at a Pokémon event at Amaroussion Flocafé in Athens, Greece, on October 5 and again at Public stores in Greece from December 23 to January 04, 2014. Snarl Zoroark (Toys R Us) This Zoroark was distributed at Toys R Us stores in the US from September 18 to 25 in the US, Toys R Us stores in Canada from September 18 to 24, and Toys R Us, EB, and GAME stores in Australia during the above dates to coincide with a variety of Zoroark merchandise promotions as well as an online premier of the thirteenth anime movie. 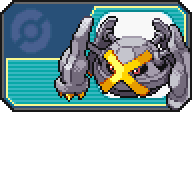 It knows the move Snarl which is unable to be obtained by any Pokémon normally in-game. Dark Explorer Darkrai This Darkrai was distributed over Nintendo Wi-Fi to help promote a new TCG set and the launch of its corresponding website. Ash's Pidove The Secret Eggs were distributed at Toys R Us stores in the USA to commemorate the main character getting an egg in the anime. The three Pokémon are based on the anime characters' Pokémon. Each player could receive one at random. This Pidove always has an Attack IV of 31. Cilan's Pansage The Secret Eggs were distributed at Toys R Us stores in the USA to commemorate the main character getting an egg in the anime. The three Pokémon are based on the anime characters' Pokémon. Each player could receive one at random. This Pansage always has a Special Attack IV of 31. The Secret Eggs were distributed at Toys R Us stores in the USA to commemorate the main character getting an egg in the anime. The three Pokémon are based on the anime characters' Pokémon. Each player could receive one at random. This Axew always has a Speed IV of 31. Species Axew (EGG) Nickname (default, save lang) OT (recipient) TID (recipient) Distribution Local Wireless Location Pokémon Event Dates Apr 27 to May 31, 2011 PID Cannot Be Shiny Games BW Lv. 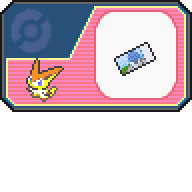 1 Nature Naive Ability Mold Breaker (2) Item None Moves Scratch Dragon Rage (None) (None) WC ID 29: 「A Secret Egg!」's receiving text 0x44 Thank you for playing Pokémon! Please pick up your gift from the deliveryman in any Pokémon Center. Spring Meloetta This Meloetta was distributed at GameStop stores in the USA during the above dates, and at EB Games stores in Canada starting on March 9. It was also distributed in Australia and New Zealand from March 4 to April 19 at EB Games/Target stores (Australia) and JB Hi-Fi stores (New Zealand). Players who attended a special screening of the 15th Pokémon movie in Australia could also receive this Meloetta early on February 23 or 24. It was also distributed in the UK at GAME stores from March 22 to April 19 as well as at retail stores in Mexico and Brazil from March 8 to 24 (It was also available at all other European distributions of this event). It was later distributed at a Pokémon event at Amaroussion Flocafé in Athens, Greece, on October 5. This was the first time Meloetta was released outside of Japan. If brought to the café in Castelia City, this Meloetta can learn the move Relic Song. It will also unlock a Funfest Mission in Black 2 and White 2. 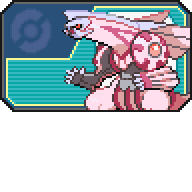 This Genesect was distributed via Wi-Fi to players who purchased Black 2 or White 2 during the first month of its release. 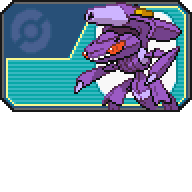 This was the first time Genesect was released to English games. The Liberty Pass was distributed to those who had purchased Pokémon Black/White during the first month of its release. 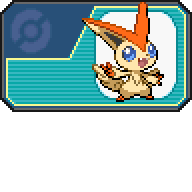 where the legendary Pokémon Victini can be encountered and caught. This distribution began on March 04 in the UK, and March 10 in Australia. 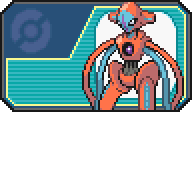 This Deoxys was distributed to Black 2 and White 2 games via Nintendo Wi-Fi Connection. This shiny Metagross was distributed at the 2013 Pokémon National Championships in Birmingham, UK. It was also distributed at other European National Championship events. An identical Mystery Gift was later distributed at the US National Championships in Indianapolis, Indiana. It was modeled after the Metagross used by 2013 VGC Master Divison World Champion Ray Rizzo. This Zoroark was distributed at Multirama stores in Greece on the below dates. It is the first instance of the move Snarl being released outside of Japan. Winter Darkrai This Darkrai was distributed at Softridge and Gamestop stores in Switzerland during the above dates. It was also distributed at various stores in Greece on December 31. VGC Worlds 2013 Smeargle This Smeargle was distributed at the Pokémon World Championships in Vancouver, BC. It was also distributed to Japanese, German, French, Spanish, Italian, and Korean games. Its Speed and Attack IVs are set to 31. This Pikachu was distributed at the Pokémon World Championships in Waikoloa, Hawaii. It was also distributed to Japanese, German, French, Spanish, Italian, and Korean games. It was also later distributed at the Firstlook 2013 event in the Netherlands on October 5th and 6th, 2013. VGC 2013 Regionals Toler's Ludicolo This Ludicolo was distributed at VGC Spring Regional events in the following US cities: Vancouver, BC, Canada; Athens, GA; Foxborough, MA; Salt Lake City, UT; and Madison, WI. It was modeled after the Ludicolo used by 2012 VGC Senior Divison World Champion Toler Webb. VGC 2013 Regionals Abram's Cloyster This Cloyster was distributed at VGC Winter Regional events in the following US cities: Salem, Oregon; Sandston, Virginia; St. Charles, Missouri; Lake Buena Vista (Orlando), Florida; and Long Beach, California. It was modeled after the Cloyster used by 2012 VGC Junior Divison World Champion Abram Burrows. VGC 2012 Nationals Shiny Larvitar This shiny Larvitar was distributed at the 2012 Pokémon National Championships in Birmingham, UK. It was also distributed at other European National Championship events. An identical Mystery Gift was later distributed at the US National Championships in Indianapolis, Indiana. Download link available below, however the only difference is the date. This Shelmet was distributed at Multirama stores in Greece on the above dates.